Operational Data Provisioning is implemented in a modeling environment used together with the search and provides a metadata view in which a Data Source can be given analytical properties in order to define an Operational Data Provider (ODP). Operational Data Provisioning uses ODPs here to allow semantically related Data Sources to act as Info Providers, so that the data is available to the Analytic Engine in an Operational Analytics scenario. ODP feature is delivered in GRC from 10.1 version. ODP enables operational analytics directly on GRC data and ODP models are bundled of selected fields related to an object. Listed are the steps to enable operational DATA provider for analytical reporting on GRC 10.1. Before you can use operation data provisioning, you must first configure the relevant settings. The use of SAP HANA or SAP NetWeaver Business Warehouse Accelerator (BWA) is optional. 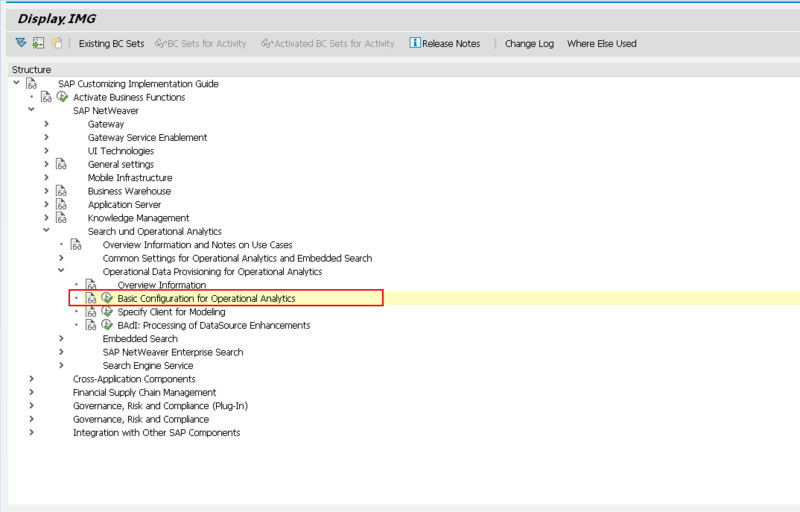 If you are using SAP HANA or BWA for operational data provisioning, you need to perform additional configuration steps. 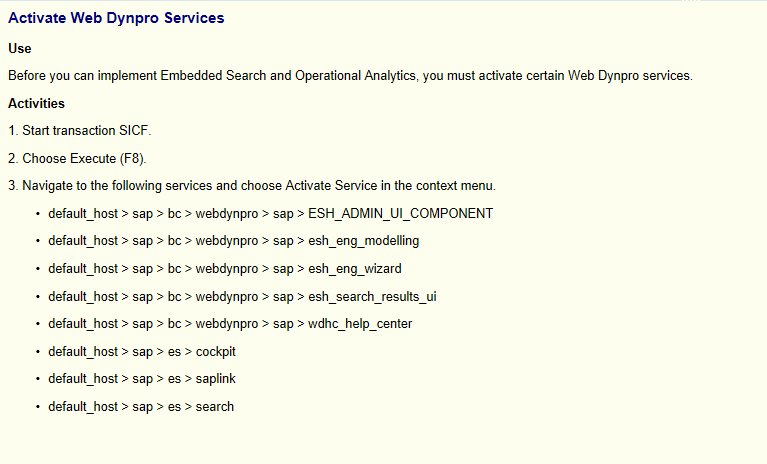 Assign the role SAP_ESH_LOCAL_ADMIN to the administrator. 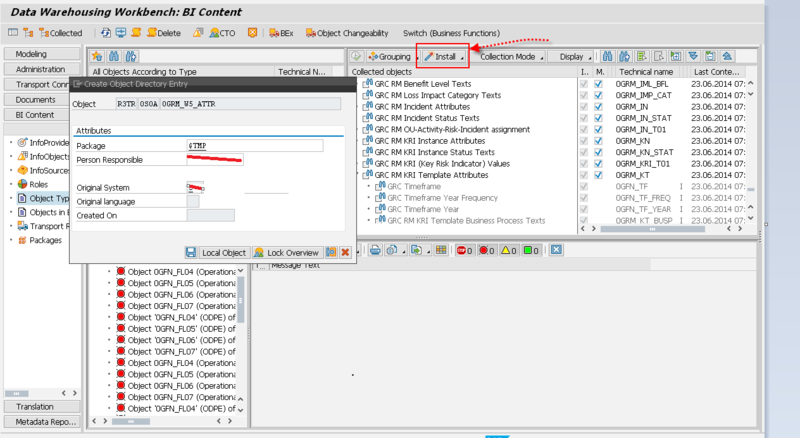 Use the basic configuration report to specify the BW client and activate the required technical content. 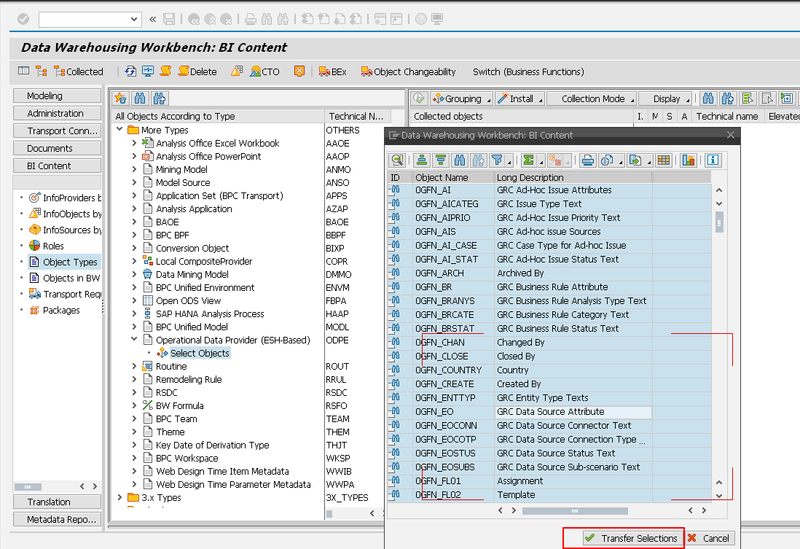 Specify the modeling client that you want to use as the client for ODP metadata access. Enter an RFC destination that points to this client. Once the ODP Configuration settings are done, we need to Import/Update the GRC pre-delivered content. Run program ESH_IEF_IMP_OM_UPDATE_CONTENT to import content. Select all objects starting with 0GFN*, 0GPC*, 0GRM* and then click on the button “Transfer Selections”. In the right screen collected objects, select all objects and click on “Install” to activate them. Go to Tr. Se38 and run the program RODPS_LOAD_ACTIVATION, all the models with Green and Yellow traffic lights means active successfully. Now once the ODP is enabled, we shall configure the Data-mart for the extraction timeframe. 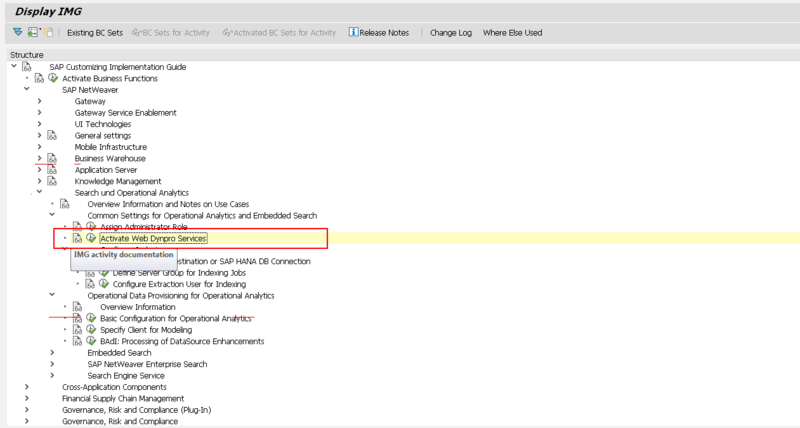 Once ODP is enabled on BW or HANA system, we can use BI tools such as SAP Lumira to create several analytical reports on GRC 10.1. Can you please confirm over the described steps, which ones have to be configured in GRC and which others in BW? This has to be in GRC. Don’t we just config ODP on the GRC box and then access the data using the ODP connections that were just created on GRC via Lumira?